Why confidence is king in youth sports? Confidence in one’s own abilities is one of the most important traits that make a great athlete. The best athletes are so full of confidence that they perform every time they are out on the field or court. Whether it’s LeBron James who makes a critical defensive block when the game is on the line, Serena Williams in early round of a major tournament, or the Patriots in need of a touchdown just minutes from game end, you know that LeBron will make the play, Serena will reach the finals, and Tom Brady will lead the Pats to a touchdown. You know this because all these athletes are confident in their abilities to accomplish it without faltering. It is this confidence that differentiates the greats from other players. Their confidence levels are so high that they know they can do it and even their fans and coaches feel confident they can do the job without failing. You come across this level of confidence mostly in professional sports. But confidence is required even more importantly among young athletes because they don’t have as much experience behind them. Young athletes are more likely to be unsure of their abilities and if they can boost their confidence levels, it can work as the biggest factor in turning their career around. If there is one factor that is most important in sports psychology, it is confidence. Even motivation contributes to building confidence. Let’s take a look at what confidence is, and what role coaches and parents can play in building it in young players. Confidence is how strongly an athlete believes in his/her abilities to achieve goals. It is so important because a player can have all the abilities in the world to perform at the highest level, but if he doesn’t believe in himself, he will not be able to perform up to those abilities. Their skills and potential will not be of much use. Why Confidence Is So Important In Sports? Most young athletes believe that excelling in sports is all about developing their skill levels. Just like skill level, confidence is also something that can be improved with practice. It is a factor that can make all the difference on the field or court, wherever someone performs. Lack of confidence can have a big impact on player performance, but faith in one’s abilities can help take the game to the next level. Even if someone has better skills and potential than their opponent, lack of confidence can prove to be devastating. Why Confidence is Particularly Important With Young Athletes? Confidence building is so important in young athletes because no amount of external (physical) work is going to matter unless a kid believes in himself or herself. Besides, the young don’t have much experience that they can draw upon. Many coaches and parents are always looking for some secret to turn a kid into a big player. Confidence can be claimed to be that secret. Challenges like pressure situations, tougher opponents, and difficult conditions are new to young athletes. Confidence building is one element, as important as skill development, in encouraging young players to look at tough opponents and difficult conditions as positive challenges that they want to overcome. Confidence also encourages them to seek new pressure situations. A more confident athlete will find more thrill in seeking out new challenges. The key to building confidence in young athletes is to make them believe in themselves. There are many sources of confidence, and coaches and parents can play a very important role in helping the young to tap into these sources the right way. Practicing & Developing Skills – Practicing and working at the sport is in itself a big source of confidence. It will help in increasing ones confidence in their abilities to perform. The individual will also feel confident that he/she can keep improving. Self Persuasion – Many young athletes need self persuasion to boost their confidence levels. This can include both talking positively to oneself and getting verbal encouragement from others like parents, coaches, and peers. Especially to the young, when they notice that others believe in them, they also start believing in themselves. Mental Training – Athletes can also use mental training as a way to increase their confidence. Visualizing success can help strengthen and maintain their confidence levels. Sense of Control – Confidence also comes from sense of control. Many times young athletes are trained to focus on what they can control. Even if a kid is in early stages of skill development, they will always have one thing they can control – it is themselves. They can always control themselves. Young athletes can be trained to focus on what they can control and to ignore what they cannot control. They cannot control the crowd, the referees, the opponents, and other external factors. When an athlete focuses on what he/she can control, it gives them a sense of assurance in their abilities to face tough challenges. Perception of Success – Correct perception of success can also be a big source of confidence. How someone looks at his/her winnings and losses is important. If a player won a match and thinks that he won just because the opponent was bad, it will affect his confidence negatively. Coaches and parents should teach their kids to always look at the positives. Even when someone loses matches, they should look at how they played their best in those matches. Perceived success doesn’t have anything to do with winning. It has to do with how well an athlete performed and felt about it. What Do Coaches Do To Build Confidence? Every coach faces the problem of building confidence in young athletes. Experienced coaches use some of these ways to build confidence in their young pupils. Making Players Face their Fear – Coaches create the situations with hurdles and challenges that their young athletes fear. This helps in bringing out the fear that has been blocking them from performing to their best. They face and deal with those challenges, and once they have overcome them, their confidence levels get a big boost. Encouraging Players to Learn from Mistakes – No athlete wants to make any mistakes. Experienced players know that mistakes will be made and they should only learn from them. But young athletes can take their mistakes in negative ways. It is the job of coaches to teach them how to turn each mistake and failure into a learning lesson. The lesson will help them improve further. Catch Players Doing Something Right, and Let Them Know — Positive reinforcement, not just during games but also practices – can help build a player’s confidence. Coaches who recognize doing things right are more apt to see that behavior repeated. In addition to letting players know verbally, don’t be afraid to put it down in writing. A note or an award certificate, especially when unexpected, can go a long ways. Reminding them of their successful past experiences. Complimenting them for their great preparation. Encouraging them to watch role models who have very high confidence levels. Verbally encouraging them from time to time about their abilities. Helping change all their focus from the scoreboard and the numbers to the improvement of skills. Comparing athletes, whether by peers, parents, coaches or yourself, can hurt their performance and confidence levels. Even if peers make such comparisons, players should not take such assessments seriously. It can make them think about the skills they are lacking. It can cause players to focus on their weaknesses, thus affecting their confidence. Athletes will not be able to play up to their best abilities. Athletes, both young and veterans, should always focus on their strengths. It is important never to compare with other athletes. 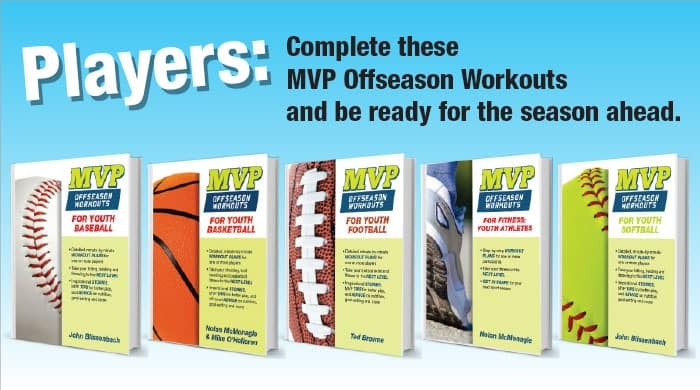 It is the most common and easiest way to lose confidence in any sports. Young athletes should always think of competing to the best of their abilities and not of competing against others. What Can Parents Do For Their Kids to Build Confidence? Parents have a very big role to play in building confidence in their kids. There are many key things they can do to boost their child’s confidence levels by making them believe in themselves. Compliment Them – Give genuine compliments, not just flattery. Avoid generalization and be specific as to the child’s achievements. Instead of claiming that their daughter is a great athlete even if she is not, parents can show their appreciation in how hard she works to improve her game. Genuine compliments help in reinforcing kids’ confidence. 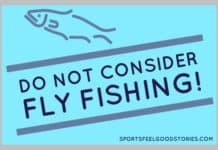 Play to the Kid’s Natural Abilities – Instead of forcing the child to try a sport that the parents think is best, they should allow their child to choose what he or she likes. When parents play to the natural abilities of their child, it helps boost their confidence. Parents should also help their child to trust himself. Teach Them to Fight Fear – Parents should also teach their child to be ready to accept fear because it is a part of competition. Children must be taught how to become self aware and that fear is nothing more than a natural thing. Building confidence in young athletes is a continuous process that goes from one stumbling block to another while they overcome them successfully. Coaches play one of the most important roles in nurturing confidence in their athletes, but parents can also contribute in a big way to the process. Have a story you’d like to share with us about “Confidence is King in Youth Sports,” please use the Contact Us page. Play with confidence when you’ve prepared for the season ahead. 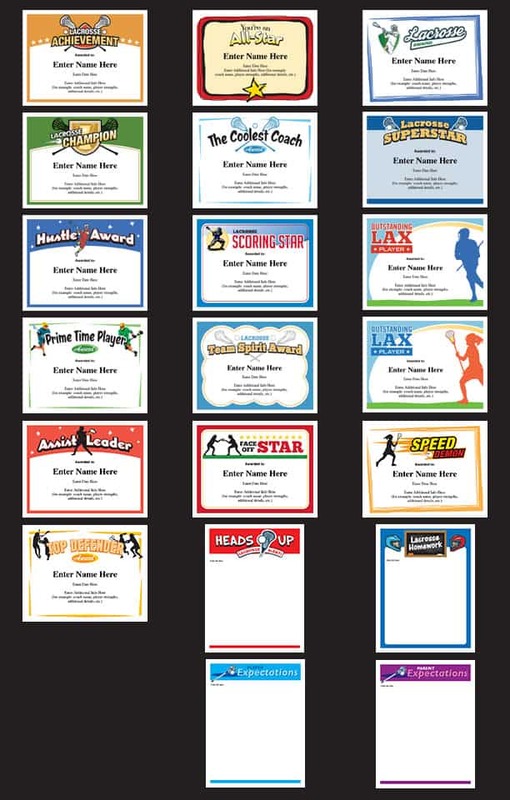 Sports certificates for lacrosse (shown), soccer, baseball, softball, volleyball and more.